Contact lens purchasers can proceed with an antitrust lawsuit alleging that 1-800 Contacts and other online retailers wrongly agreed to limit their search ad campaigns, a judge has ruled. The decision, issued Thursday by U.S. District Court Judge Tena Campbell in the Central District of Utah, stems from allegations that 1-800 Contacts and its rivals agreed to restrict the use of “1-800 Contacts” in search campaigns. 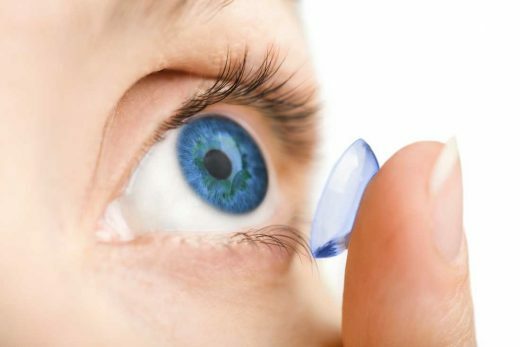 Specifically, 1-800 Contacts’ rivals — including Vision Direct, Walgreens, National Vision and Luxottica — allegedly promised they wouldn’t use the term “1-800 Contacts” to trigger search ads. National Vision agreed last year to pay $7 million to settle the allegations, but the other companies are still fighting the lawsuit. The consumers sued soon after the Federal Trade Commission accused 1-800 Contacts of violating antitrust laws by entering into those agreements with competitors. The competitors agreed to the restrictions after 1-800 Contacts either sued or threatened to sue for alleged trademark infringement, according to the FTC. 1-800 Contacts allegedly targeted at least 15 competitors between 2004 and 2013. Of those, only Lens.com fought the lawsuit; Lens.com largely prevailed in that case. While the FTC matter and the suit by consumers are proceeding separately, they are factually intertwined. The FTC contends that the agreements harmed search engines by distorting their ad auctions and reducing the quality of the search results. The FTC also says the agreements resulted in higher prices for consumers, arguing that 1-800 Contacts charges more than online rivals, but that consumers stop searching and order from 1-800 Contacts if it is the only advertiser in the search results. An FTC administrative judge recently ruled against 1-800 Contacts. The agency is expected to hear arguments in that case next month. 1-800 Contacts (and the other sellers) argued that the case should be dismissed because the consumers didn’t present facts to show how the settlement agreements led to price increases. Campbell rejected that argument. She wrote that the allegations in the complaint “link the agreements to higher prices,” adding that the consumers need not provide “an economic analysis that requires specific data and expert testimony” while the case is still in a preliminary stage. 1-800 Contacts and several other sellers also argued that claims stemming from settlement agreements that occurred before August of 2012 should be dismissed, because antitrust violations carry a four-year statute of limitations. The consumers countered that they had no reason to know about the search agreements until the FTC brought suit two years ago. The judge sided with the consumers. She noted that the search agreements between 1-800 Contacts and its rivals were subject to non-disclosure agreements, which could suggest that the companies were attempting to conceal wrongdoing. If so, the typical statute of limitations would not apply, she said. “Given that plaintiffs have alleged agreements to engage in anti-competitive conduct, it is reasonable to infer that a provision requiring the contracting parties to keep the terms of that allegedly anti-competitive agreement private was an affirmative act to conceal,” Campbell wrote. That ruling — which is only preliminary — allows the consumers to proceed with the case. But Campbell could still determine later that the companies did not conceal wrongdoing. Federal courts still haven’t definitively resolved questions surrounding the use of trademarks in search advertising. Google and Yahoo have prevailed in several lawsuits alleging that they wrongly allowed a trademarked term to trigger pay-per-click ads, as have several advertisers. But judges have allowed other lawsuits over the question to proceed.